A new program from Microsoft is encouraging Apple Watch users to switch over to the Microsoft Band 2 with a few tiers of trade-in initiatives (via Cult of Mac). The company is offering "as much as" $150 for the aluminum Apple Watch Sport, $200 for the stainless steel Apple Watch with a Sport band, and $250 for the Apple Watch with Milanese Loop. • Device's housing and band are completely intact without cracks or missing parts. -Device screen is not cracked or broken. -No security codes or PIN codes are required to operate the device. The program runs for a few more weeks, ending on February 7, and is available only to users on the Microsoft Online Store in the United States and Canada. Microsoft unveiled the Band 2 at an event back in October, and launched it the same month, introducing a new curved screen with durable Corning Gorilla Glass 3 and an improved touch display on the wearable smartwatch. Response to the new generation of the Microsoft Band wasn't entirely positive, so the company's new trade-in program could be an attempt to generate some sales for the device in the months leading up to the Apple Watch 2's rumored launch in April. exec: How can we make money off the band 2. Im totally going to do this. I have a time machine and I'm about to go back to 2000. So I need a more appropriate watch for that time period. 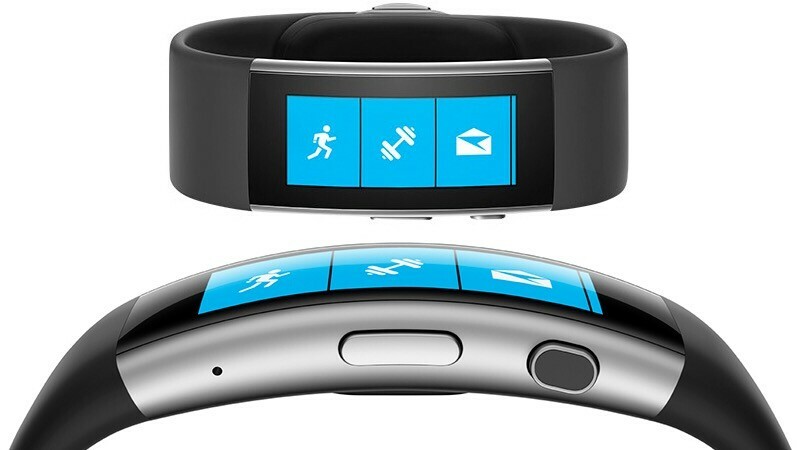 A new program ('https://microsoftwearablestrade.cexchange.com/online/home/index.rails') from Microsoft is encouraging Apple Watch users to switch over to the Microsoft Band 2 with a few tiers of trade-in initiatives (via Cult of Mac ('http://www.cultofmac.com/407077/microsoft-wants-you-to-trade-in-your-apple-watch-for-a-band-2/')). The company is offering "as much as" $150 for the aluminum Apple Watch Sport, $200 for the stainless steel Apple Watch with a Sport band, and $250 for the Apple Watch with Milanese Loop. The program runs for a few more weeks, ending on February 7, and is available only to users on the Microsoft Online Store in the United States and Canada. Microsoft unveiled ('https://www.macrumors.com/2015/10/06/microsoft-new-product-lineup-fall-2015/') the Band 2 at an event back in October, and launched it the same month, introducing a new curved screen with durable Corning Gorilla Glass 3 and an improved touch display on the wearable smartwatch. Response to the new generation of the Microsoft Band wasn't entirely ('http://www.theverge.com/2015/10/29/9631634/new-microsoft-band-2-review-fitness-tracker') positive ('http://www.cnet.com/products/microsoft-band-2/'), so the company's new trade-in program could be an attempt to generate some sales for the device in the months leading up to the Apple Watch 2's rumored launch ('https://www.macrumors.com/2015/12/31/what-to-expect-from-apple-in-2016/') in April. Is there something I'm missing here? Why would an individual "give away" their Apple Watch at such a low price to then spend $100 more to get this Microsoft watch? Seems like an advertising stunt to close the perceived value gap between the two devices. MS is not necessarily anticipating a lot of trade-ins, but rather this is meant to put people on the fence thinking that MS is the new new thing and in the same ballpark as the apple offering. At least that would be a car for car trade. This is more like a car for tricycle offer. Well if you are into tracking fitness it does a lot more. Nonsense. True fitness requires an actual workout. No activity tracker, including the AW does a good job at that. If that is your goal you need a dedicated sports watch. Activity bands can be terrific motivators to get off the couch and help you get to the next level. But once you are there you need a real sports watch, not a fancy pedometer with a 1/2 assed optical HRM. Sell your great device for one that's more restrictive and does less.